Etrulia Grace Crum (affectionately known as “Trudy”) was born in Harnett County, NC on May 4, 1942 to the late Rollins and Marcilla Moore. She was the ninth child of ten children. Etrulia’s early education was at Shawtown Elementary School in Harnett County, NC. The family relocated to Fayetteville, NC where she continued her education. Eager to see the world and to seek exciting opportunities, she ventured to Chicago, IL, New Jersey and Portsmouth, VA. Upon relocating back to Fayetteville, she began working in the Health Services industry. It was in Fayetteville where she met and married the love of her life, Chester A. Crum (who preceded her in death). They were the parents of three wonderful children. As a devoted mother, wife and supporter of her husband’s military career, the family spent many years abroad. Her favorite residing destinations were the countries of Panama and Germany. Once the family relocated and settled in Arlington, VA, she began employment with the Arlington County School System as a teacher until retirement. She was a member of Mt. Olive Baptist Church, Arlington, VA, under the direction of Dr. Aaron Mackley. After retirement, she returned to Fayetteville, NC with her husband, to be close to family and friends. Trudy traveled the globe extensively as she was always ready to explore exotic and different cultures. She visited Mexico, Belize and most of the Caribbean Islands. She has also visited every state in the USA, with Alaska and Hawaii being her favorite site-seeing states. As an active community supporter, she joined many charitable organizations including, Order of the Eastern Stars, Daughters, Turtles, American Legion Post 202 and VFW Post 6018, Cooties and Red Hatters, just to name a few. She was also one of the founding members of the Majestic Club in Arlington, VA. One of her most memorable community events was her attendance at the Inaugural Ball for President Barack Obama. She was a faithful member of the First Baptist Church in Fayetteville, NC and remained until her death. Etrulia had a zest for life. She was an extremely proud and very classy woman who always illuminated any room with her colorful personality and beautiful smile. She was a perfectionist with a passion for decorating. To her nieces and nephews, she was the book of knowledge. The many words of wisdom that she shared are priceless, and will pass on to future generations. Five siblings preceded her in death: Marjorie Smith, C. Stanford Moore, N. Anford Moore and Carolyn Whitted; and one sister-in-law, Elizabeth Crum. 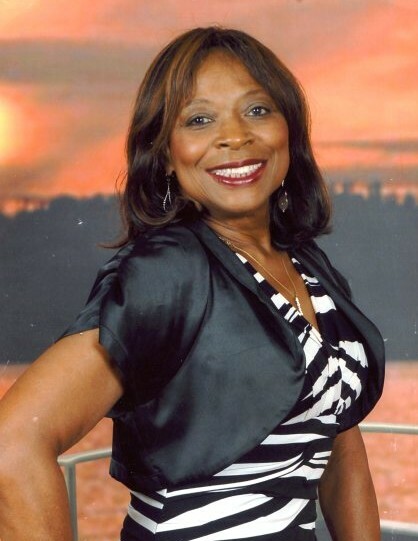 She is survived by her son, Stanley S. Crum (Tyneca) of Austell, GA; two daughters, Letisha C. Johnson of Austell, GA and Brenda G. Hampton of Atlantic City, NJ; ten beautiful grandchildren, Deago Suiter of New York, Kayla Johnson, Kennedy Johnson, Christopher Johnson and Sherrod Crum, all of Austell, GA, Reginale Guion, Antonia Hampton, Antonea Donegan, Anthony Hampton and Shantavia Hampton, all of Atlantic City, NJ); twenty-one great-grandchildren and one great-great grandchild; five sisters, Wyomia Ellison of Chicago, IL, Helen Bell, Mae Ruth Brown, Joan Morrison and Scharma Holloway, all of Fayetteville, NC; three brothers-in-law, Beanie Smith of Wilmington, NC, Thomas Crum, Oliver Crum (Ruth), all of Starke, FL; two sisters-in-law, Beatrice Cameron of Starke, FL and Betty Crum of Dallas, TX; and a host of nieces, nephews, cousins and friends. A funeral service will be held at 10:30 am Friday, January 18, 2019 in First Baptist Church 302 Moore St, Fayetteville with Rev. Floyd W. Wicker, Jr. officiating. Burial will follow in Sandhills State Veterans Cemetery. The family will receive friends from 6 pm to 8 pm Thursday, January 17, 2019 in Rogers and Breece Funeral Home.